Good location in terms of access to the city. $10-$12 shuttle or uber ride from the airport in the Dwntwn direction. There is a little bit of homeless that pass by but nothing too dangerous. Check-in can take some time but staff is cool. Common area is also cool, clean and comfortable. 6 ppl mixed temp was fair, room was clean and comfortable. You get what you pay describes it the best I think. It was ok there, couldnt rly find people to hang out because the staff had his own group and there were so many "older" people (50-60). Aidan was the nicest guy ever! Our room was hot, the heater noise was every 10 minutes and two roommates had bad coughs. There was no where to put clothes/towel/toiletries in bathroom. One roommate had her clothes and bags strewn about the room. Bedding and pillow cases stained. But too tired to care. My main complaint with this hostel is all the hidden fees. I thought I was purchasing one bed in a mixed room for $29, but after I arrived I got hit with the following fees: $3 Parking fee $1 Car fee $7 "Amenity" fee $1 Towel fee These hidden fees were annoying to deal with and I'd appreciate increased transparency in how much money is coming out of my wallet. Facilities need a lot of improvement. 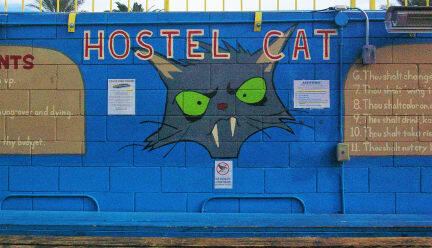 The hostel was visited by many really weird people and the staff was partly Unfriendly too. The kitchen filfils its purpose but not more. It's a bit shabby and really loud during the night if you have the wron people in your room. 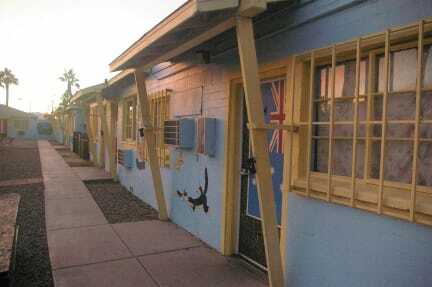 I wouldn't recommend going to a hostel in Vegas in general. Don’t be fooled by the low price, they charge a extra 7$ fee per night for facilities like WiFi and cleaning etc. (+tax + 1$ fee when you pay with card, so you might end up paying double than what you signed up for) Hostel is in general lacking atmosphere and appears dirty/shabby Stuff was nice! Gloomy hostel, the surroundings also seemed bit unsafe. No acknowledgement on early checkout (though I had sent an email). The hostel also charged $20 as security deposit saying it would be returned in a few days. Its been nearly 2 weeks but the money has not been refunded, neither any acknowledgement on the mail sent regarding the same.